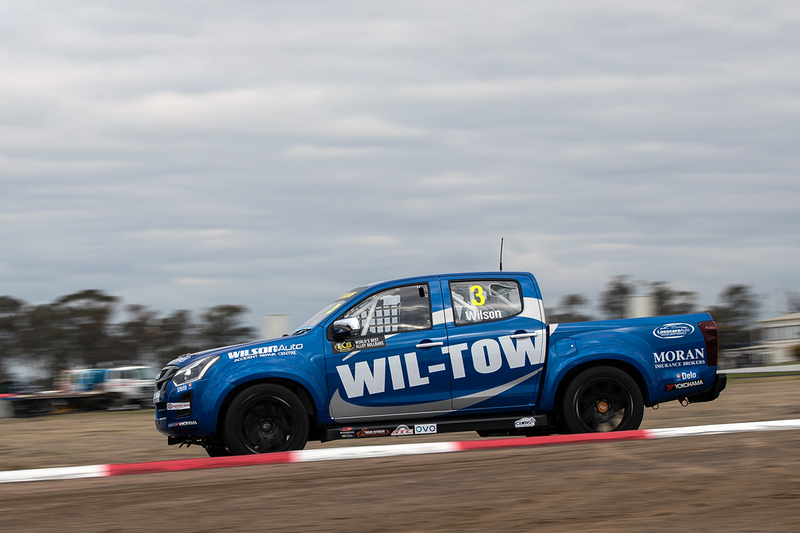 Steve Wilson believes his Isuzu D-MAX made a "fairly strong" race debut in the ECB SuperUtes Series at Winton. The Ross Stone Racing-run Isuzu was intended to be the sixth manufacturer on the grid in Adelaide, but missed the maiden round due to engine-homologation delays. In the D-MAX’s first race outing in the turbo-diesel class, Wilson had finishes of 10th, eighth and ninth to his name at Winton. Having spent the weekend working on rear-end set-up, Wilson believes it offers a solid base. "It was good, we had a few minor set-up issues, but otherwise it was fairly strong and good fun to drive," Wilson told Supecars.com. "We just had a few niggles with some of the rear-end components and I just struggled to get the set-up under control for the rear end. "They were still there at the end of the third race, but I'm sure we'll have it sorted for the next round at Townsville. "It's good fun and it's a good category, just more time in the seat and coming to grips with the car will help me come forward from there, that's the plan." 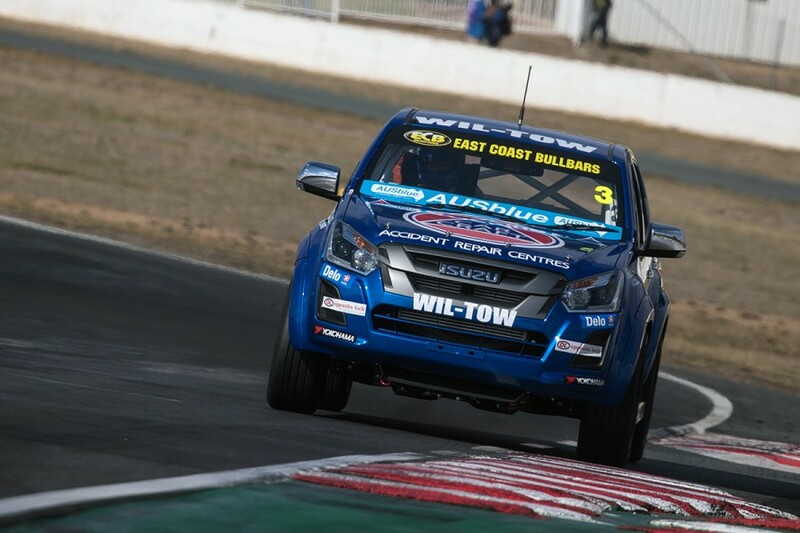 Having missed the Adelaide opener, Wilson undertook the Isuzu’s first full test alongside its SuperUtes rivals at Winton in April. Wilson is confident time in the D-MAX, having previously raced V8 Utes, and set-up work will help move the package further up the order. "You're definitely at a disadvantage if you've had less time in the car," the Isuzu driver added. "Prior to Winton we did that test day, and then at Winton other people already had two or three test days, plus the race. "It's a combination of more seat time and learning the set-up on it. "Hopefully at Townsville we will hit the first practice session a bit more in-tune with the car." The third round of the inaugural ECB SuperUtes Series will take place on the streets of Townsville on July 6-8, as part of the Watpac Townsville 400.